If you are self-conscious about smiling due to missing teeth, you may want to look into dental implants. 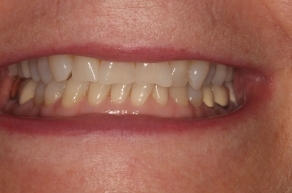 They are designed to look and function just like natural teeth and do not slip along the gumline like traditional dentures are often prone to do. Dental implants are some of the most innovative treatment options that the field of dentistry has ever seen. They can improve both aesthetics and functionality of your teeth, helping to improve chewing and speaking while enhancing the appearance of your smile. Dental implants are also designed to look and feel like natural teeth, and have long-lasting results that are often permanent. 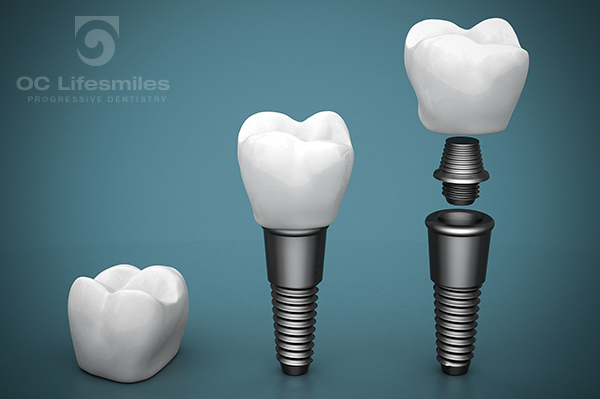 The posts, typically made from titanium, act as anchors for the dental implant. Our dentist, Dr. John Cross, will utilize advanced technology to pinpoint the best possible placement for the post along the area of the missing tooth. Once the post is surgically placed in your upper or lower jaw, over time, it should fuse together with the jawbone, cementing the dental implant in place like a tooth root. The abutment functions as a buffer between the post and the dental crown, which will serve as the finishing touch for the implant. After the post is implanted and you’ve had time to heal, Dr. Cross will secure an abutment to the post. This allows the post to easily connect to the crown or dental prosthetic. Lastly, a crown is placed over the post and the abutment. 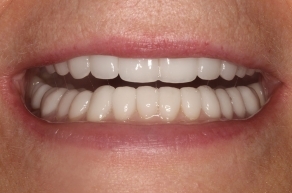 Crowns are made from porcelain and are specially designed to resemble your real teeth. 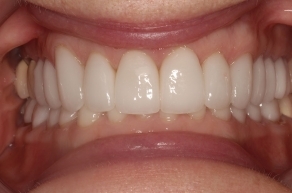 We will customize your crown so it will match the exact color tint, shape, and size of surrounding teeth. 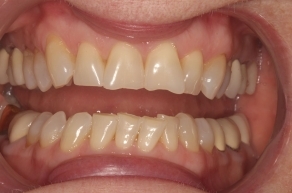 Dental implants are a long-term solution for restoring your smile. By the end of the procedure you should have fantastic, natural-looking results! If you think this restorative dental procedure may be an option for you, please contact OC Lifesmiles Progressive Dentistry for more information, or to schedule an appointment.